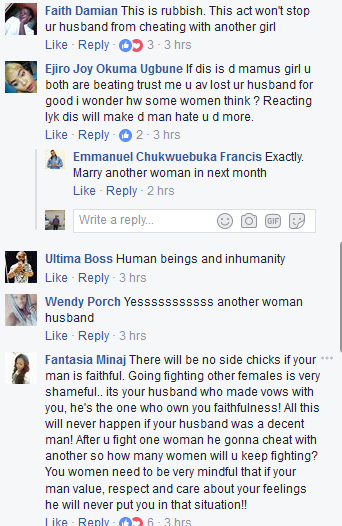 Sidechicks ooooooo, leave married men alone abeg or this will be your potion soonest. 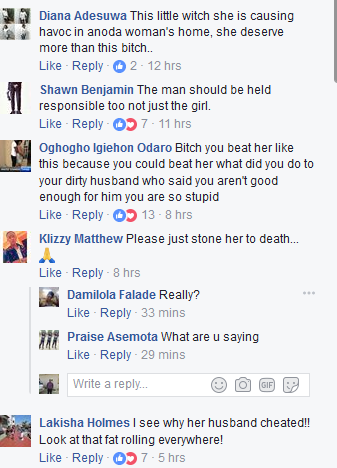 A young lady was attacked by a woman and her friend who accused her of having an affair with her husband. 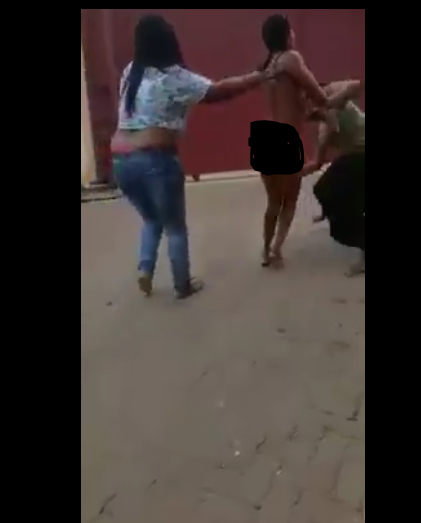 In a trending video footage which was posed online, the scorned wife and her friend stormed the residence of the lady in question, as they stripped her totally unclad while punching and beating her in the process. She was finally dragged outside her apartment in such embarrassing condition. 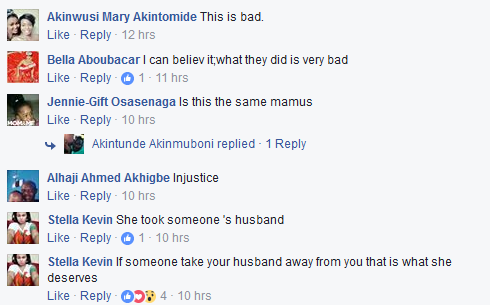 Facebook users have reacted angrily to this issue.